Social media marketing that connects. Word of mouth has always been the best from of marketing. Many small businesses limit their social media presence online and then don’t manage it correctly. Being active with your social media management can contribute to an increase in sales. Businesses that are engaged on social media enjoy higher customer loyalty, and increased brand recognition. The higher your number of social media followers (and the more these people are talking about your business online), the more trustworthy, credible, valuable and authoritative your business appears (this represents social proof). We research your products and services and then our team gets to work discovering relevant content for your approval. We post content to all relevant platforms. WATCH THE NEW FOLLOWERS AND WEBSITE TRAFFIC POUR IN EVERY MONTH! We only target relevant people in your target area. 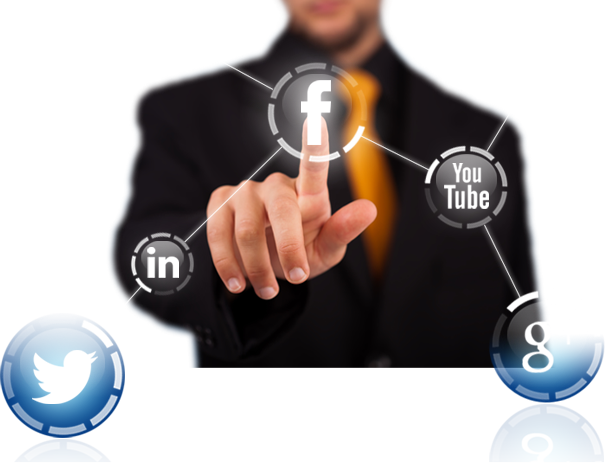 At Honeyweb we understand the importance of social media management and developing online communities. These are the people who are and will become your brand advocates and brand ambassadors. We will research content and then post to your relevant platforms. Who says you need to manage your own social media? And who has the time? It’s challenging enough running your business, let alone daily post. We will ensure your followers are receiving valuable and attractive content that keeps them engaged and encourages them to spread your message to their social networks. We will encourage open conversation and participation, and we will provide monthly reports on page progress and performance. REMEMBER: Research has shown the optimal number of social media posts per day is 2. That coupled with 81% of consumer decisions being influenced by social media posts and 71% of consumers who have a positive social media experience with a brand being more likely to recommend that brand to others, now is the time to implement a targeted local social media management campaign. Note: Your dedicated account representative will work closely with your business and will require your assistance by emailing specific business-related content to your Honeyweb account representative weekly, i.e. specials, sales, new product info, general news etc….